The hotel has 156 cosy rooms. 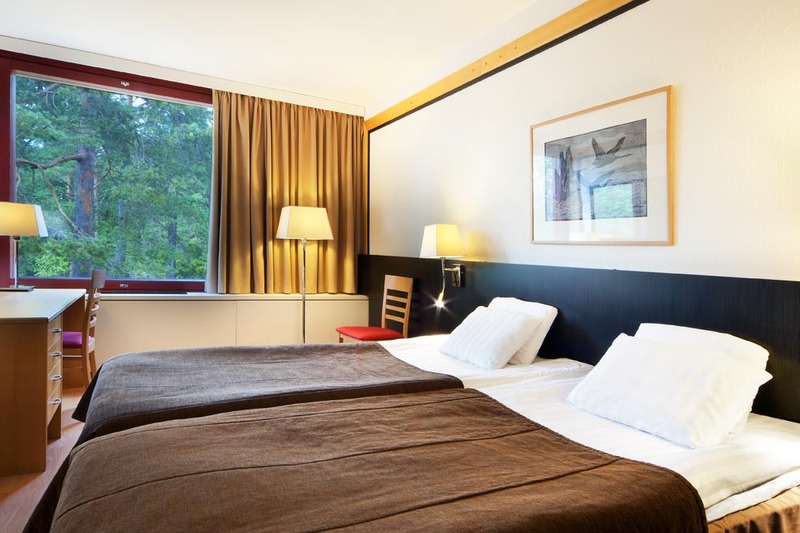 All room prices include an abundant breakfast buffet, use of the sauna and the swimming pool, parking, and wireless internet connection. The rooms will be available from 15.00 on the day of arrival to 12.00 on the day of departure. Hotel Korpilampi has a beautiful lakeshore setting. The forests and cliffs around the hotel offer a unique opportunity for various activities as well as relaxation and recreation amidst nature. Nature is also present inside the hotel. 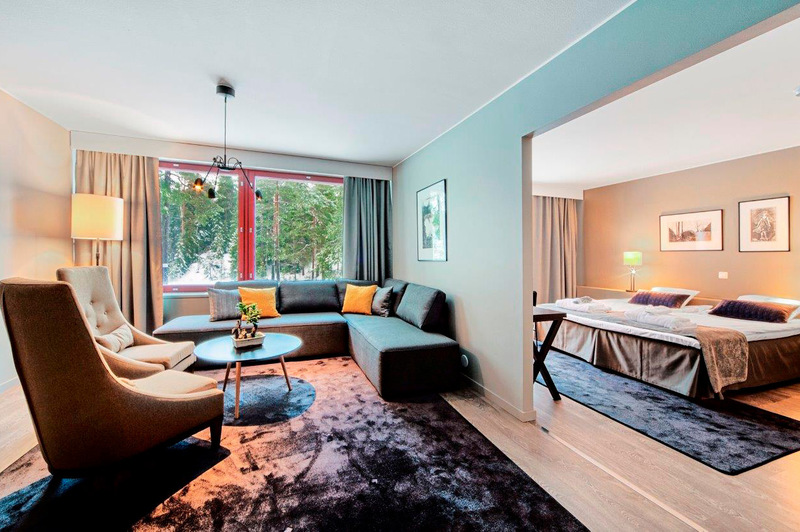 Nordic warm tones combined with magnificent nature photographs create a cosy atmosphere. 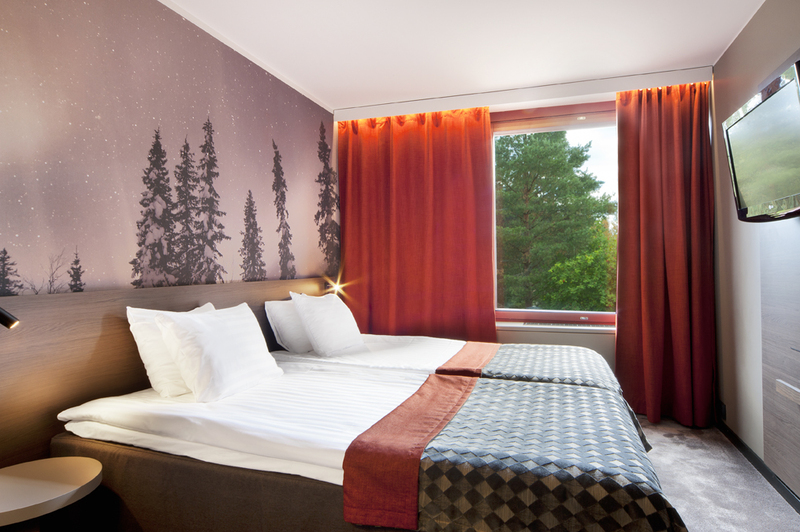 Some of the conference premises and hotel rooms offer amazing views of the forest and of Lake Korpilampi. 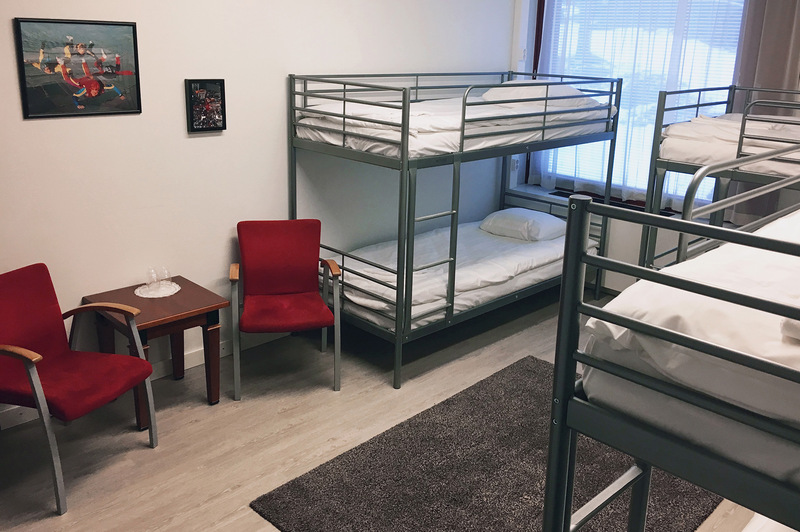 Dorms are economical and comfortable shared rooms suited to e.g. sports clubs, student groups, and friends travelling together. We have a total of four dorms, each of which has six beds in three bunk beds. All rooms have their own toilet and shower. There is no TV in the dorms. fee charged for the pet is €20 / stay. The number of pet rooms is limited. The maximum number of dogs is two in one room (depending on the size of the dogs).